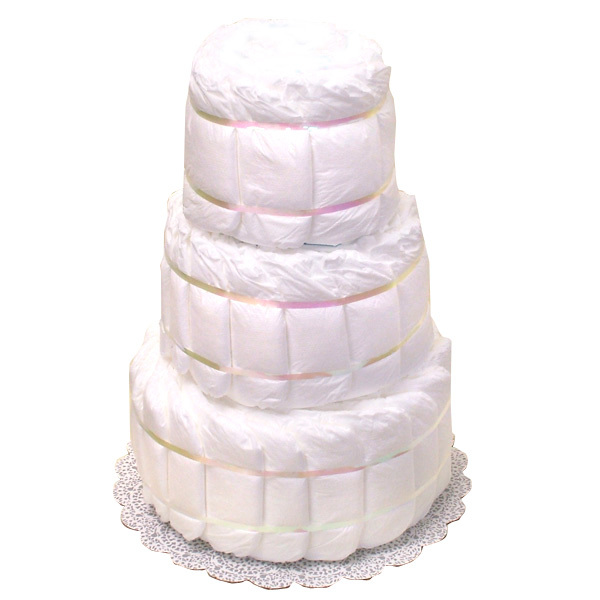 This cake is made of 50-55 Pampers Swaddlers diapers size 1 (8-14 lbs.). Diapers feature stretchable Grip Tabs and soft, Cloth-Like Cover gentle to the touch for the precious one! The diapers are held together by curly ribbons (no glue on diapers). Cake is very sturdy and will not come apart during shipping.